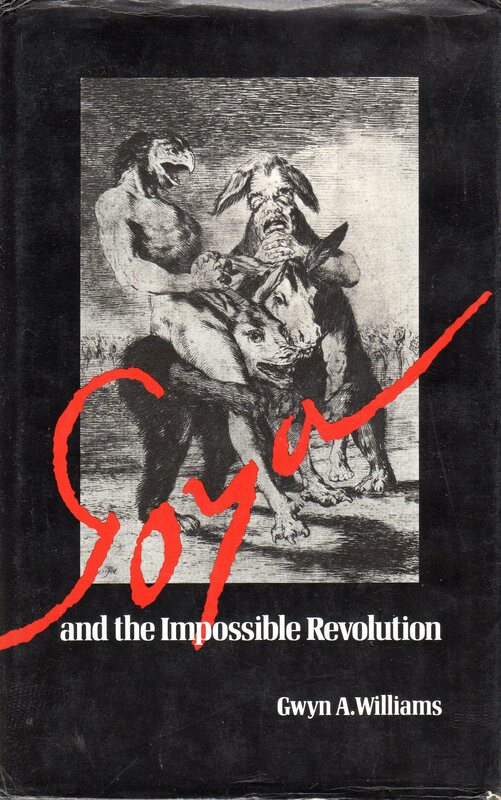 In this striking essay, Welsh historian Gwyn A Williams relates Goya's work, from King's painter to exile, to the tumultuous upheavls that accompanied Spain's failure to consummate a bourgeois revolution. In a searching exploration of Goya's art, especially his drawings and engravings, shows the connections between Spain's cultural-political crises, Goya's recurring illnesses, and the growing genius of his work. Each of Goya's three major illnesses paralleled disorders in the body politic and that his second illness in particular, in 1792–93, transfigured his work into great art, deepened by personal statement and social comment. He closely examines the Caprichos and the world–renowed Disasters of War, seeing them as the very essence of Goya's idiom – satirizing and relentlessly pursuing the inner logic and profound contradictions between reason and unreason. These contradictions not only tormented Spain's quest for a necessary but impossible revolution but found a universal echo, being germane to the human condition itself. Copyright 2016 – 2019 G&SWebDesign All Rights Reserved.